With BoldChat in place, Miyachi Unitek’s customer service and support capabilities advanced significantly. 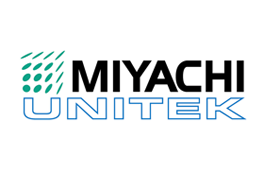 A leading manufacturer of equipment and systems for resistance welding, laser welding, laser marking, laser cutting and hot bar reflow soldering and bonding, Miyachi Unitek serves numerous diverse markets. To provide superior service to these clients, a new support solution was needed. A wide-ranging client base demanded a comprehensive support tool. To improve outreach and capture leads, the company decided to pursue live chat. Miyachi Unitek wanted a live chat solution that could integrate with Salesforce.com and that could be customized as needed. "…the percentage of qualified leads has increased. This is largely attributed to the use of BoldChat which enables us to answer technical questions immediately, thus building customer confidence." After researching various live chat options, Miyachi Unitek decided that LogMeIn’s BoldChat was the ideal solution. BoldChat provided proactive chat functionality, Salesforce.com support, a high degree of customization and flexible pricing. BoldChat was up and running within 24 hours. After 14 months, the company saw 360 new contacts and opportunities via BoldChat. These led to $1.6 million in business. BoldChat enabled Miyachi Unitek to provide live service to customers speaking English, Portuguese, Chinese and Spanish.